Missing Scans: Do they have any more demos? Recorded and mixed at the Feedback-Studio Berlin Tegel (11-13. 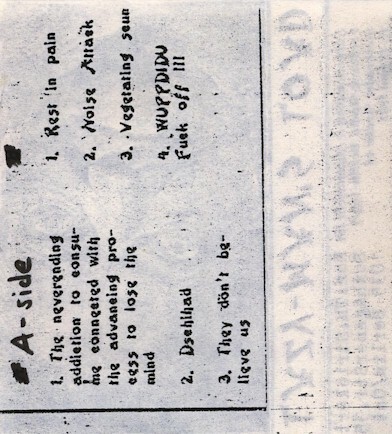 June 1992) The tracks 1-7 are on side A (the demo) The tracks 8-16 are on side B which contains a live concert. 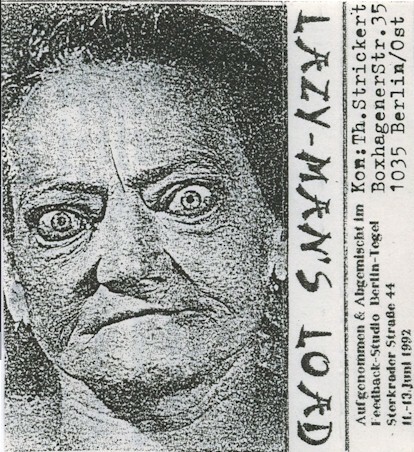 Xeroxed Covers on regular tapes. Other side has track listing.